Dr. Rebecca Trobe, Psy.D., the founder of Impact Coaching & Consulting, LLC, works with philanthropic organizations, family foundations, couples and individuals. Her consulting work is focused on multi-generational strategic philanthropy and family wealth succession planning with an emphasis on stewardship, legacy planning and next generation transitions. Rebecca holds a doctorate in clinical psychology and applies her skills to all of the above in addition to spending time with organizations, leaders and teams on the effective development of strategy, values, vision and leadership. Rebecca has worked in a range of professional consulting roles including: Family Wealth Consultant with Wells Fargo’s National Family Office/Family Dynamics Division, Co-founder and Managing Principal of The Wealth Legacy Group, Partner at Schaffer & Combs, LLC and Senior Consultant with 21/64, a non-profit consulting practice specializing in next generation and multi-generational family philanthropy. 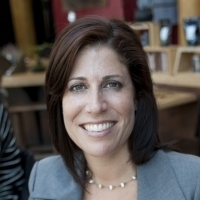 Prior to relocating to San Francisco from New York, Rebecca was an executive coach with Leadership Strategies, a boutique coaching firm based in Princeton, NJ, working nationally with C-level executives and their teams on leadership performance, vision and strategy. Rebecca is based in the San Francisco Bay Area and is privileged to travel nationally and internationally in her work with organizations, foundations and families. She is passionate about most things involving the principles of family systems as they relate to giving and wealth, innovation, leadership and building empathy within families and organizations. Rebecca is an instructor for the international Roots of Empathy Program in the Oakland Unified School District and has proudly served on the advisory boards of both Ashoka’s Bay Area Youth Venture and Thinking Beyond Borders. Substancial financial wealth, whether created or inherited, has the capacity to transform the wealth holder. Many wealthy individuals rethink the meaning of their money, indeed their lives, in light of the freedom and empowerment their wealth provides them. In the lives of the wealthy, there is often an existential shift, often more an inner journey than outward accomplishment. Consciously, they explore their options, and in this transitional work they go through a stage of development in regard to their wealth. There is an idea that values are divided between the financial and the societal, but this is a fundamentally wrong way to view how we create value. Value is whole. Philanthropy is a matter of giving - of yourself as much as your money. And the more you give, the more you stand to get back - not in money, but in more spiritual forms of value. Connection. Purpose. Meaning. Charles Bronfman & Jeffrey Solomon The Art of Giving; Where the Soul meets a Business Plan. Philanthropy can act as an integrating force that is fulfilling precisely because it is so full of such diverse, and yet essential, elements. It is extremely important to help families develop rituals that correspond to the actual transitions of their lives, including those transitions that the culture has not validated. The powerful implications of family life cycle celebration; rituals that have been designed by families in every culture to ease the passage of its members from one status to the next, allow the system to unlock during the time just before and after such events. As a result it is often possible to shift things with less effort during these intensive period than could ordinarily be expended in years of struggle. Today’s philanthropists are going to transfer legacies of meaning as well as financial wealth, whether they think about it or not.